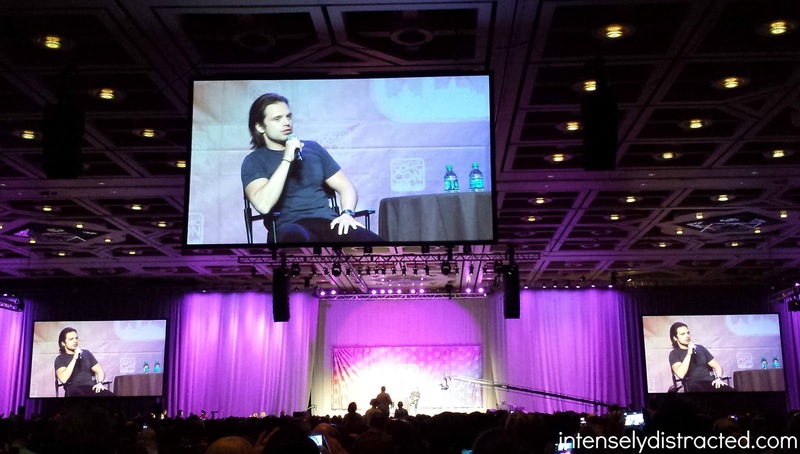 There was a full house for Sebastian Stan. After a short break to wander the exhibit hall, we went back to the Grand Ballroom for more back-to-back panels. We started with Sebastian Stan. I didn't remember he was originally from Romania so it was definitely cool to see him speak Romanian with a couple of girls who asked him a question in Romanian. 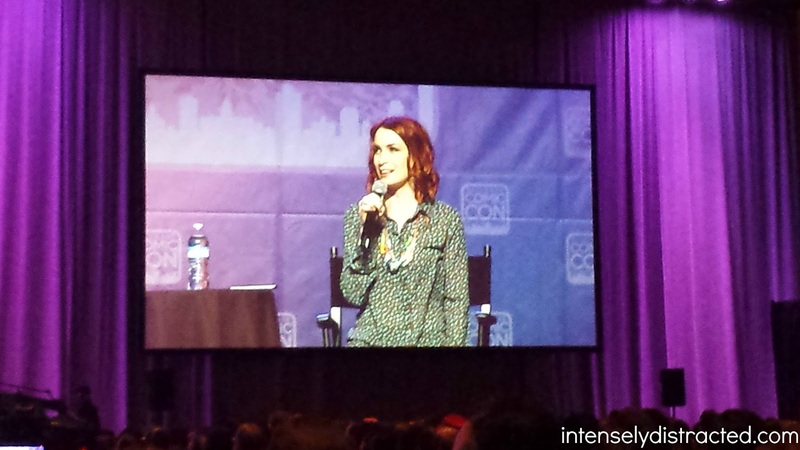 Felicia Day stole the crowd. Felicia Day was hilarious. She did her entire panel without a moderator which was unusual for this year's panels, but she really didn't need a moderator. She mentioned her new book a lot which didn't deter me from wanting to purchase it. 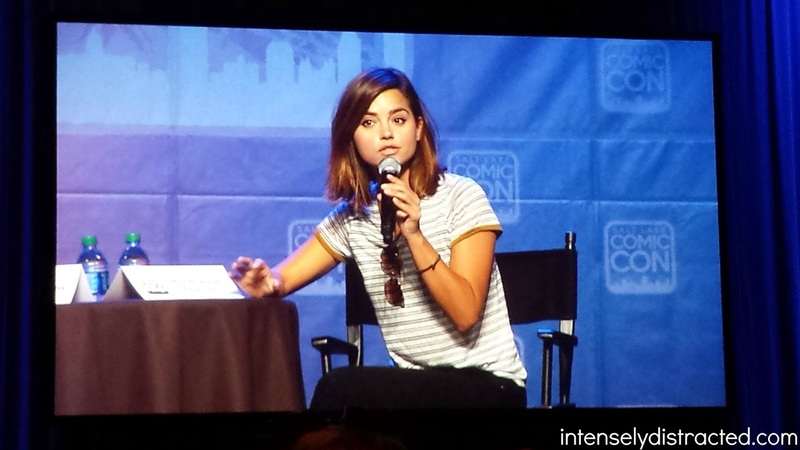 Her panel was so fun that Andrew even came to understand why people liked her so much. He didn't fully get it before since he isn't very familiar with her, but he liked her and was more interested in learning more about her after her panel. Anthony Daniels took up the next hour giving us very entertaining and interesting tidbits about his time with Star Wars playing C-3PO. His panel was unique because he was the only one that didn't have a Q&A. He also didn't have a moderator so he took the stage solo and kept us laughing throughout his whole panel. Christopher Gorham was such a nice guy. 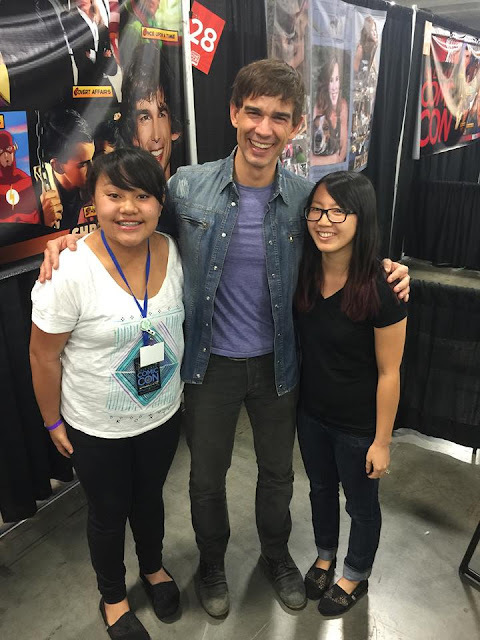 Ellie and I stayed even longer in the Grand Ballroom to catch Christopher Gorham's panel. A good chunk of the room cleared out, but I'm glad we stayed for his panel. He was very down to earth and a really nice guy. Ellie and I ended up running into him in the exhibit hall later where I promptly screamed in his face after I turned around and saw that he was right behind me. We then headed over to his signing table and got ourselves a picture with him too. He was very cool and it was definitely worth it.